Thank you for offering to host a Shabbat program. We'll keep you updated on the latest news from LimmudBoston. LimmudBoston runs on the volunteer power of 6 key teams and many day-of volunteers. At LimmudBoston, everyone is a learner, and everyone can apply to be a presenter. LimmudBoston, PO Box 36, Waban, MA, 02468. Your ad will be seen in the LimmudBoston program book by all attendees. 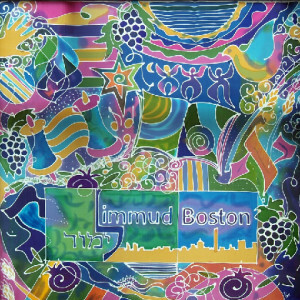 LimmudBoston 2014 will include a limited number of exhibitor tables, on a first come, first served basis. A fund raising Silent Auction is held during LimmudBoston. Please support LimmudBoston by donating a product or service. CLICK HERE for more information. Please support LimmudBoston by bidding. CLICK HERE for more information. Support LimmudBoston–become a Friend of LimmudBoston now!